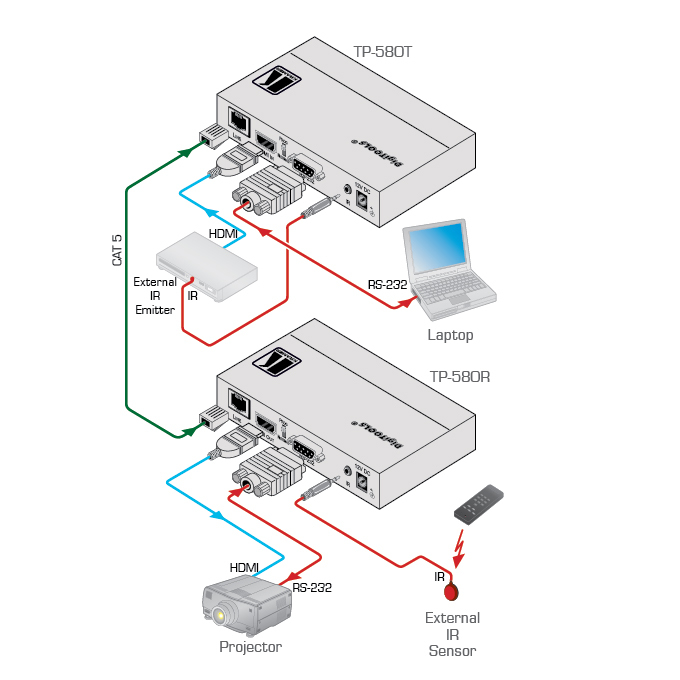 Bidirectional RS-232 & IR Interface. - Commands and data can flow in both directions via the RS-232 interface, allowing status requests and remote control of the destination unit. System Range - 70m (230ft) at 2K, 40m (130ft) at 4K (UHD) resolutions. Compact DigiTOOLS - 3 units can be rack mounted side-by-side in a 1U rack space with the optional RK-3T universal rack adapter. Ports 1 IR on a 3.5mm mini jack, 1 RS-232 on a 9-pin D-sub connector.